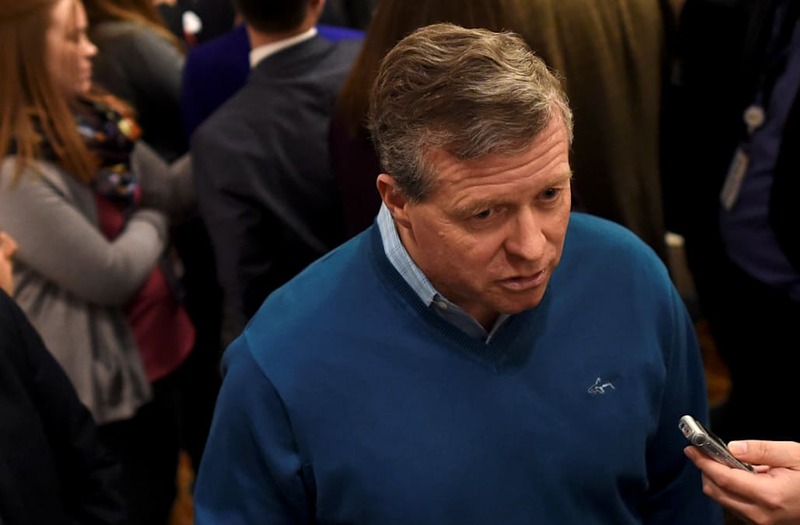 WASHINGTON — Republican Rep. Charlie Dent announced Tuesday that he plans to resign from Congress next month instead of retiring at the end of the current session, as originally announced. "After discussions with my family and careful reflection, I have decided to leave Congress in the coming weeks," the Pennsylvania Republican said in a statement. His office said he will step down in May. "It is my intention to continue to aggressively advocate for responsible governance and pragmatic solutions in the coming years," added Dent, who had said in September that he would retire from Congress at the end of 2018. Dent did not offer a specific reason for his early departure, though he has often been critical of his party's positions and tactics, especially those used by the conservative Freedom Caucus. Asked last week if Republican incumbents were feeling the effects of a challenging midterms environment, he agreed. "I think there's a lot of weariness and a lot of exhaustion, frankly," he said. "This is going to be a challenging year." His Tuesday announcement comes nearly a week after Speaker Paul Ryan, R-Wis., announced that he would not seek re-election in November, as a growing number of House Republicans opt to head for the exit. On Friday, Dent introduced a bill with Rep. Peter Welch, D-Vt., to protect special counsels amid the possibility that President Trump could take steps to fire Robert Mueller as the special counsel overseeing the Russia investigation. Dent has served in Congress since 2005 and had chaired the House Ethics Committee from 2015 to 2017.